Welcome at the biggest photo gallery of the world. The biggest photo gallery in the world? Isn't this a little to ambitious? No! Read in the FAQ how it works. 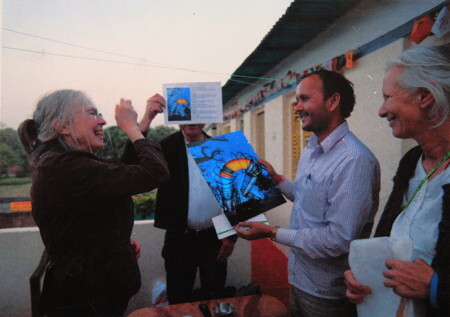 This update comes a little late: Here is a photo of the handover of the picture of the Rehberger bridge by Mrs. Blumenroth in Sarnath, Varanasi (India).